Provide comfort for the family of Margaret Tuomi with a meaningful gesture of sympathy. 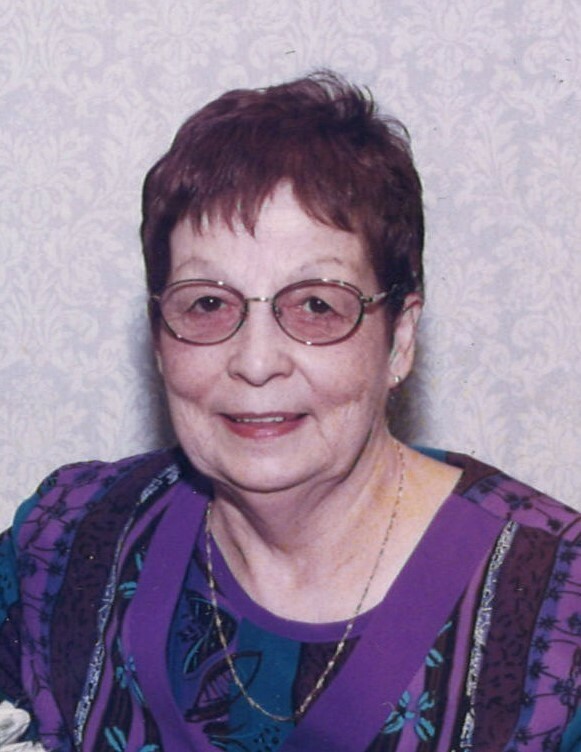 Mrs. Margaret Tuomi, age 84 years, passed ay peacefully at home with family by her side on April 9, 2019. She grew up in Kawene and went to school on the railway school car. Married and moved to Thunder Bay with her husband and three small children. She worked at the Port Arthur General Hospital where she met many friends. She was very social and always made everyone feel welcome and the coffee was always on. Prior to illness, she loved to play cards every evening with her friends Ruth and Verda. She loved to travel but was also happy to be home with her dog Meesha, friends and family. She was the matriarch of the family. Her painful journey with cancer has ended and she is now socializing in heaven. She will never be forgotten and is being lovingly remembered by her son Wally, daughter Brenda, grandchildren: Tara, Matthew, Jennifer and Sharon and great grandchild Ava. Also, by her sisters and brothers, Henry (Ann), Helen (Jim), Florence, Thelma, Marie (Brian), Calvin (Debbie) and numerous nieces, nephews, great nieces and great nephews. Predeceased by her parents, Jesse and Frederick Atkins, husband Einar and son David. Special thank you to Debbie for always being there and caring for Mom. Also to Dr. Allison, Dr. Hagerty, Don Hutchinson and the palliative care team for their excellent care. Funeral services will be held on Wednesday, April 17, 2019 at 11:00 am in the Sargent & Son Funeral Chapel, 21 N. Court Street with Rev. Randy Boyd presiding. Interment will follow the reception in Sunset Memorial Gardens. On-line condolences may be made at www.sargentandson.com. To send flowers to the family of Margaret Dolores Tuomi, please visit our Heartfelt Sympathies Store. Donations are being accepted for: T.B.R.H.S. Foundation Northern Cancer Fund. Provide comfort for the family of Margaret Dolores Tuomi by sending flowers. My deepest sympathies to you all for your great loss. you are all in my prayers.